Our vision is a world in which every woman and girl is strong, safe, powerful, and heard. No exceptions. Global Fund for Women’s primary goal is to get resources to organizations led by women, girls, and trans people. We support organizations led by historically marginalized groups who are working to build strong, connected movements for gender equality and human rights. We trust women, girls, and trans people to know how best to solve the problems in their communities. As funders, our goal is to provide resources that strengthen the agency, participation, and power of local organizations working directly in their communities. We provide flexible, core-support grants for operating and program expenses, give multi-year grants as often as possible, and offer travel and event organizing grants to support knowledge-exchanges and convenings. Global Fund for Women also provides immediate support to organizations who are first responders in times of natural and human-made crises. If you are part of group led by women, girls, or trans people based outside of the United States and you are interested in receiving funding from us, please carefully review our application process, criteria, and priorities below. Global Fund for Women provides three types of grants: general support grants, travel and event organizing grants, and crisis grants. Please read the Criteria section below carefully to make sure your organization is eligible before proceeding. Please note that our application process is now online and we do not accept proposals sent by email. Our application forms are available on our site in five languages: Arabic, English, French, Russian, and Spanish. Step 1: Register your organization by submitting an Organizational Profile. Both steps must be completed through our online system. Please see the grant descriptions below for instructions. To be eligible for funding, all organizations must begin by submitting an organizational profile via our online application site. Organizational Profiles allow us to learn about an organization’s strategies, priorities, and programs in order to determine whether they align with current funding opportunities. Please carefully review our criteria and priorities below before completing a profile. Our profile forms are open year-round in our online system. Groups can submit a profile at any time. Completed profiles are valid for two years, at which time the group can update the information in their profiles. Please note that although submitting a profile is the first step in applying for funding, it does not guarantee an invitation to submit a grant proposal. Due to funding limitations, not all groups will be invited to submit a grant proposal. A PDF guide on how to create an online account and Organizational Profile can be found here. In order to submit a proposal, groups MUST have an active Organizational Profile. Proposal forms and requirements vary depending on the grant type and funding opportunity. Please review the instructions and requirements below as well as any instructions provided in the proposal forms. Please note all proposals are submitted online, using the same account username and password created to submit the Organizational Profile. The majority of our funding opportunities are for general support grants. General support grants can be used to fund an organization’s projects and programs as well as operating and program expenses, such as rent, salaries, communications, and travel costs. 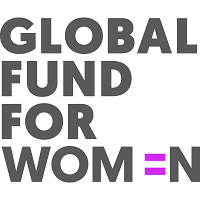 Global Fund for Women periodically invites organizations whose work aligns with our current funding opportunities to submit proposals for general support funding. We select these organizations from the Organizational Profiles in our system and through recommendations from our advisors. Please see the Priorities section below for more information about our current priorities. Please note that due to limited funding and staff capacity, only organizations that have been invited to apply may submit a proposal for general support funding. If you wish to be considered for general support funding in the future, please register your organization by submitting an Organizational Profile via our online application site (see Step 1). Travel grants are given to organizations led by women, girls, and trans people to attend national, regional, and international gatherings and events with the purpose of strengthening women’s rights movements, influencing decisions, and mobilizing resources. We support groups who are organizing their own time sensitive convenings and events with event organizing grants. An organization must have received a grant from the Global Fund for Women within the past 5 years. The proposal must be submitted at least 8 weeks before the start date of the event or travel. An organization may only have ONE travel or event proposal open or under consideration at a given time. An organization must have an active Organizational Profile. Interested organizations that meet the above criteria can submit a proposal through their account on our online application site (see Step 1). Due to limited funding, only those organizations that have received a grant from the Global Fund for Women in the past five years can apply for travel and event grants. In the past, Global Fund for Women has given grants to organizations providing crisis response to infectious disease outbreaks, large-scale floods, and sudden, massive displacement of people due to political violence. Please note that groups must be invited by Global Fund for Women to submit a crisis grant application. Due to limited funding and staff capacity, only groups that have previously received a grant from Global Fund for Women will be invited to submit a crisis grant proposal. We acknowledge receipt of all online proposal submissions within 24 hours by email. Please allow at least three months for a decision on a general support grant proposal and at least three weeks on a travel or event proposal. Please note that to award a grant, we require positive endorsements from our advisors. Be based in a country outside the United States. We do not fund US-based organizations. Have a primary focus on advancing women’s equality and human rights, with these goals clearly reflected in its activities. Please note that groups whose sole purpose is to generate income or to provide charity to individuals are not eligible. Be a group of women, girls, or trans people working together. We do not accept requests from individuals and do not fund projects proposed by or for the benefit of individuals (including scholarships). Be governed, directed, and led by women, girls, or trans people, that is they must fill all or most of the leadership roles throughout the various decision-making levels of the group (including but not limited to the most senior decision-making levels). Groups do not need to be registered non-governmental organizations (NGOs) to qualify for funding.